Following her father’s mysterious death in Singapore, Leah Fisher leaves her life in London and returns to the island city that was her childhood home. She is braced to confront her past and determined to lay the ghost of her “first love” to rest. Toran James may have been the boy her fourteen-year-old heart yearned for, but the magic of stolen glances and first kisses faded with his betrayal. The dangerously attractive man she meets upon her return, though, is nothing like her memory, and the past holds more secrets than she realised. Was her father’s death really an accident? Someone is out to silence Leah – and that someone might be the man she is rapidly falling in love with… again. H.Y. Hanna was born in Taiwan and has been a globe-trotter most of her life, from growing up in the United Arab Emirates to attending school in New Jersey, from working in the glamorous world of London advertising to emigrating Down Under. Along the way, she somehow managed to pick up a wonderful husband, a huge, slobbery dog, two rescue cats, an assortment of cardboard boxes and a slightly dodgy “trans-atlantic” accent. After graduating from Oxford University, she tried her hand at a variety of jobs before returning to her first love: writing. 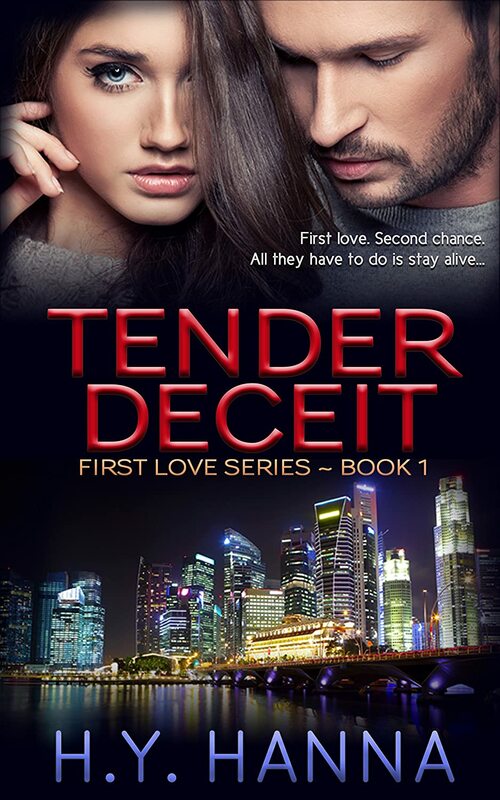 She is the author of the Amazon-bestselling children’s mystery series, BIG HONEY DOG MYSTERIES, and is now diving into the world of romantic suspense with the launch of TENDER DECEIT, Book 1 in the FIRST LOVE SERIES. She also writes the “ASK HONEY!” series — answers to real-life dog training and behaviour questions, inspired by her popular dog blog. Always fascinated by dogs, she specialised as a pet writer for magazines in the UK, Australia and NZ, and has been heavily involved in training, behaviour, dog sports and photography. You can find out more about H.Y. Hanna at: www.bighoneydogmysteries.com (where you can learn about the ‘real-life’ Honey who inspired many of her books) or at her own website: www.hyhanna.com You can also friend her on Facebook at “H.Y. Hanna” or follow the Big Honey Dog Mysteries Facebook Page — for pet-related news and updates!